Channel 4, the broadaster of shows including Catastrophe and The Great British Bake Off, is looking to restructure its London-based agency-facing sales team into three groups. The broadcaster currently has four agency-facing groups of salespeople working in London and is looking to reduce that number to three. It also has a 25-strong commercial operation in Manchester. Channel 4 staff will be given an opportunity to comment on the proposals – and suggest alternatives – before individual conversations with those affected begin. 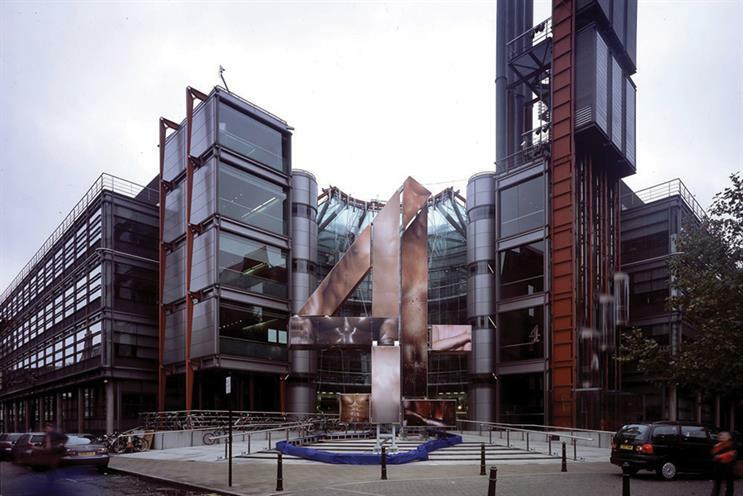 Under the proposals, the overall headcount of the Channel 4 commercial team is not expected to change, although there could be a small number of departures. Campaign revealed in January that Channel 4 had kicked off its consultation with staff over the opening of a second headquarters in Leeds, along with creative hubs in Glasgow and Bristol. This process is still at an early stage and has yet to move on to discussing the future of individuals. It is understood that Channel 4 is not looking at the structure of the London sales team as part of its expansion into the regions, but the changes have prompted the broadcaster to examine how it is organised more broadly. Channel 4, which handles sales for UKTV and BT Sport alongside its own channels, hopes the changes will allow it to keep pace with its pure-play digital competitiors and be a more collaborative and creative media partner. Each of the agency-facing sales teams report to Matt Salmon, Channel 4’s head of agency and client sales. He worked alongside fellow head of agency and client sales Damon Lafford until Lafford left as part of a restructure in August last year. Jonathan Allan, chief commercial officer at Channel 4, has devised the proposals, with help from his senior leadership team, which includes Salmon as well as head of trading Ed Chalmers, head of digital innovation and partnerships Jonathan Lewis and head of airtime management and ad operations Tanya O’Sullivan. Management consultancy Q5 has worked with Channel 4 on other elements of its wider restructure, but was not involved in the plans for the sales team. A Channel 4 spokesman said: "We are currently engaged in a consultation process with our employees and are unable to give any further details until that process has concluded." ITV has recently completed its own sales restructure. It streamlined its agency-facing team under one leader – sales director Mark Trinder – and moved the other, Steve Bignell, to the role of director of advanced advertising. Channel 4's commercial team started 2019 without the advertising revenue of Publicis Media clients such as Asda and Samsung after the two parties failed to agree a deal. They later resolved their differences and began trading earlier this month.